Add a pop of color and pattern into your arsenal of accessories with this dapper and stylish polka dot patterned tie in an assortment of blues. Two dark blue are interwoven for the background of the necktie and then accented by hand embroidered light blue polka dots. 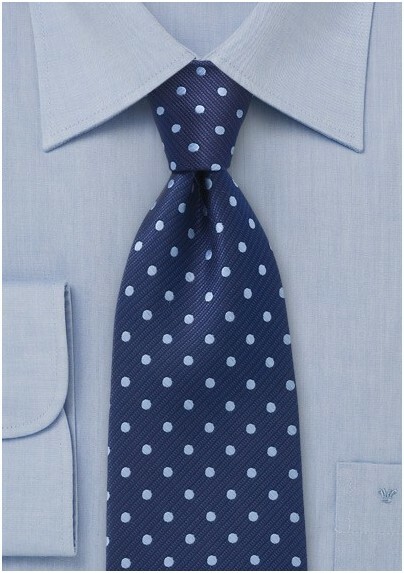 For an fun and dapper look, we suggest teaming this tie with a light blue dress shirt and a slim cut dark navy blue suit. 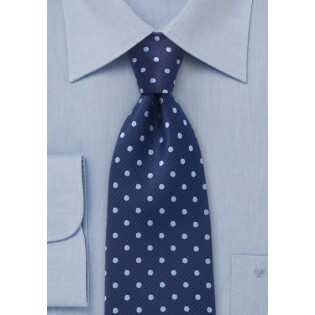 This tie is designed by the Puccini Fashion House and is crafted from a high quality microfiber.